Attractive, ground floor, 2 bedroom apartment with living room and private entry. AC. Walking distance to Kailua Beach Park, reasonably priced. 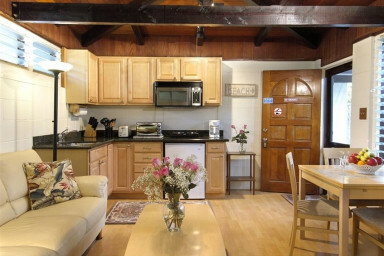 Located on a quiet residential street in Kailua on the island on Oahu, you'll find comfort, relaxation here while on vacation. Less than a 10 minute walk away awaits you world famous Kailua Beach. The busy night life of Waikiki is a short 20 minute drive. Tradewind Bungalow is the ideal location while on vacation here in Hawaii. The total area of our "Home within a Home" is 651 sq. ft. All the rooms have been repainted and feature new wood laminate flooring throughout. The first bedroom is 11 by 12 sq. ft. and has a double size bed, a dresser, and a 19" television. This bedroom also accesses the outside lanai and is Air Conditioned. This bedroom is also the most private of the two bedrooms. The second bedroom is 12 by 15 sq. ft. and has a queen size bed, and a large dresser. The front room is 13 by 15 sq. ft. This room is furnished with a three person leather couch, a 27 inch Sony Vega flat screen television complete with all HBO and Show time movie channels and DVD player, a four person dining table expandable to six persons and a built in kitchen. Sliding door to a private patio with table, chairs and barbecue. High speed Internet access available. Boogie boards, beach chairs and a cooler are available for a fun day on the beach. The kitchen consists of a granite counter top with a drop in sink, an under the counter refrigerator, a full size wall mounted microwave unit, a toaster oven, a toaster, a coffee maker, a two burner hot plate, and assorted cooking utensils. single air bed for a fifth guest. Washroom/bathroom/shower combination. Washer and dryer available. Street parking. 5 day minimum stay required, shorter stays may be possible as there depending on what our openings are. A third bedroom with queen size bed and one bathroom can be aded for a additional rate of $50/day. What a charming and a clean place to stay! we stayed at the Tradewind Bungalow for 5 nights, It had everything we wanted, it was a relaxing vacation. The apt has a charming living area and well equipped kitchen,spacious bathroom,and two bedrooms with comfortable beds. The town of Kailua is the perfect place to be, also Honolulu is only 20 minutes away, and it's easy to drive up the coast- the views are breathtaking. Overall a great place to stay! we hope to come again soon. We stayed with our family of four in Kailua. We chose this town since we use to live there and love the quietness of it and it's beautiful beach. The tradewind studio is close to everything, very clean and spacious and has everything you need. Had a lovely time in this condo - it far exceeded our expectations. The condo itself had been recently remodeled - so everything felt totally new and was super clean (and that's saying a lot since I'm a stickler for cleanliness)!Jon, our host, had taken care of everything like beach towels & chairs - we were even able to borrow their bicycles to cruise from beach to beach. The location was perfect for us - only 1.5 blocks from the beach, close enough to bike to nearby restaurants and stores and other beaches as well. We even had our own parking spot for our rental car. But my favourite part was the private garden, the hammock and the bbq - it was just lovely! If we come back to Oahu, we will make sure to book this place again! The place was perfect for our needs. We were able to walk to the beach in less than five minutes. We stayed for a week at this cottage, and enjoyed our time. I was very grateful for availability and a reasonable price, as we planned the trip at the last minute and not many people will accommodate a family of 5. The cottage is beautifully decorated in a beachy theme, clean and with comfortable beds. We had everything we needed, including beach towels, beach gear to borrow, and a well-stocked kitchen. The beaches and restaurants of Kailua town are about 5-10 minutes away, and there are some other restaurants and a grocery right around the corner. Since the apartment is upstairs, you do overlook some close neighbors. The only struggle we had was keeping our children quiet enough. 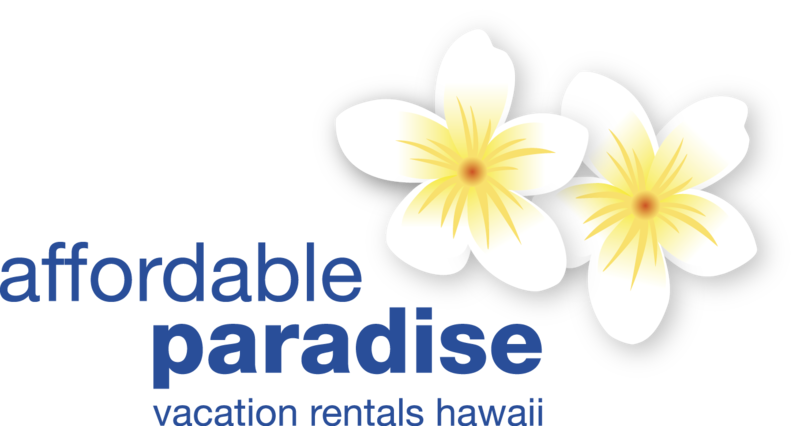 Overall, a very good option for those who want to get away from the hustle of Honolulu and have a relaxing experience on Oahu. If you want 2 bedrooms this is the place. Very well landscaped looking onto a secluded courtyard. Short walk to the beach, short drive to downtown and only 15 or 20 minutes to Honolulu. The landlord has dogs and they can be noisy at times, but never at night. He tells me he has moved them so future guests may not even see them. Kapakai Cottage is excellently located for access to beaches, hikes, shopping, and major roads. The owners are completely unobtrusive, but very helpful and friendly. The photos of the cottage on the website accurately reflect the decor, and the its condition is very good. The king bed only was used and is quite comfortable. The balcony was a handy for morning breakfasts, and unloading sandy beach equipment. The sofa is roomy, but requires additional support as some of the webbing for the seats has stretched beyond comfort. What a treat to stay in Kailua and in such a perfect location! A great little place with everything we needed. In addition, our host was very responsive to all of our interests and needs. Thanks so much Mr. C.! The experience my girlfriends and I endured was excellent! The cottage was roomy, clean and in a nice area! The owners were extremely nice & helpful! For sure we would stay there again! Thank you for your hospitality!